Excited faces! 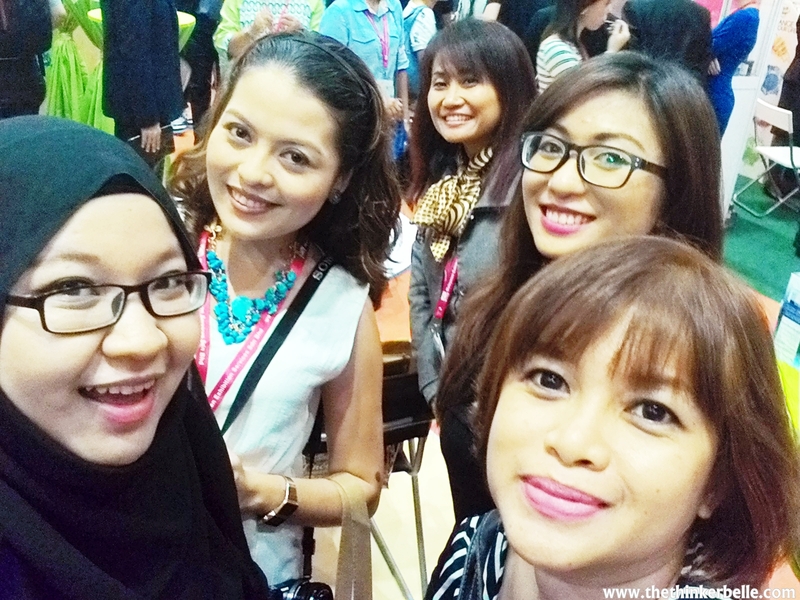 From right; Kak Ella, Reia, Mrs Louie, Carol and me. First, I checked out the Mama Sita's corner where Ms Peach Reyes, the fourth generation of the founder of the brand itself greeted us and started explaining about their brand. It's a highly known brand in Philippines and was founded in 1983. Already expanded to 40 countries worldwide, they're now aiming to spread their wings in Malaysia. 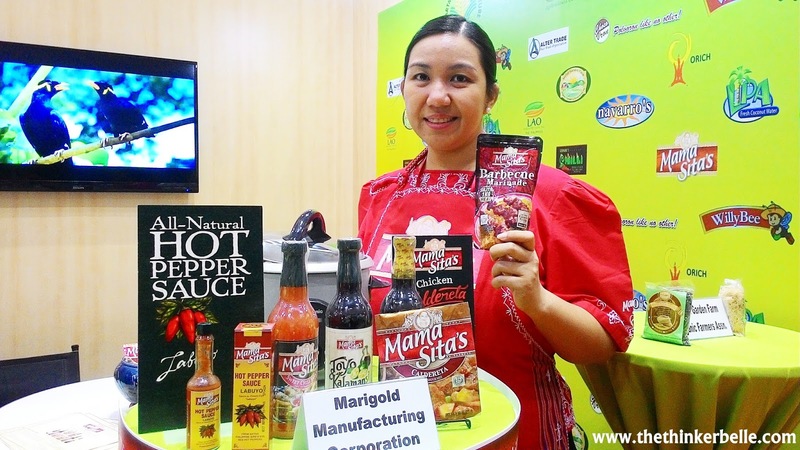 I am super impressed especially by their all natural hot pepper sauce or known as Labuyo which is made of bird eye chilies. It's similar to the Tabasco sauce but spicier and I'm loving it so much. I got a bottle of it to bring back home (thanks again Mama Sita for the goodies) and straight away eat them with the fish crackers my mom bought a few days ago. Scrumptious! I think it will go well with pasta dish like Aglio Olio too so I might cook up some soon. 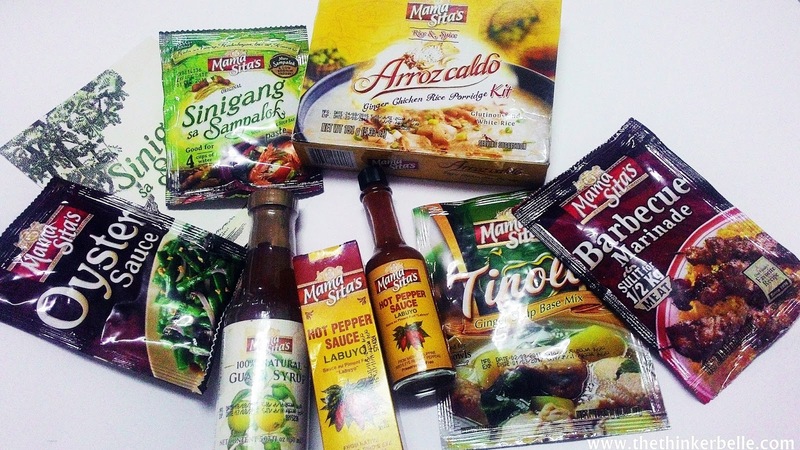 I got a bunch of other Mama Sita's products too so I just can't wait to try them all. 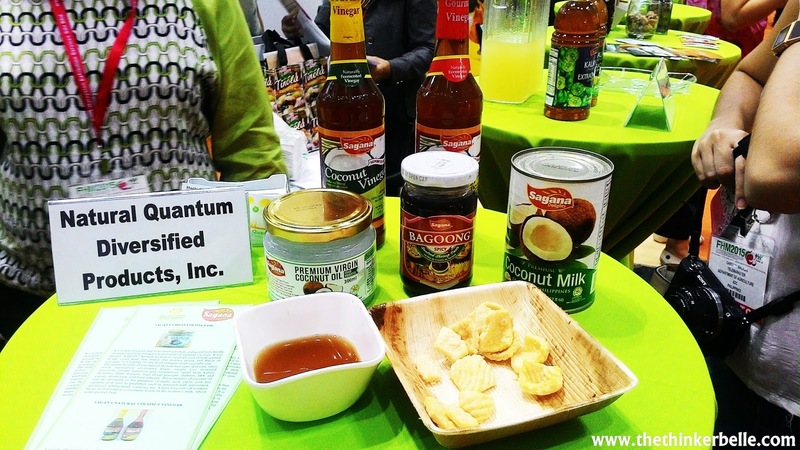 Especially curious about their Natural Guava Syrup which they said will go well with a breakfast pancake. I guess tomorrow's breakfast for me is all planned out ;D They also gave me a few packets of other stuffs like the Filipino Oyster Sauce, Tinola Ginger Soup Base mix, Filipino style Barbecue Marinade, Sinigang sa Sampalok paste which is a Filipino's sour oriental soup and instant Arrozcaldo which is a ginger chicken rice porridge so I'm so excited to cook them all as soon as possible. And oh, pizza! I can't leave out pizza when it comes to spicy sauce. Please start selling this in Malaysia! 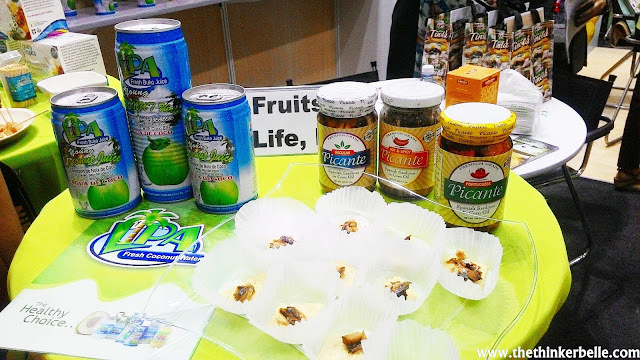 Mama Sita is not the only brand available for sampling at the booth, they also have a lot of other food products for tasting. 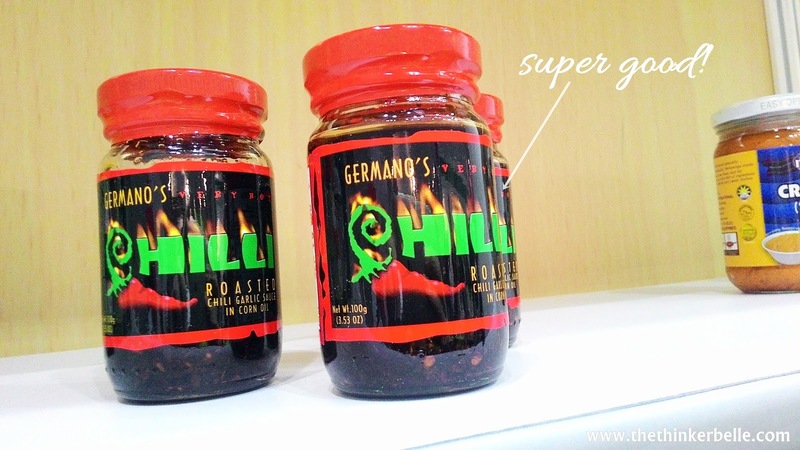 Starting with my favourite of them all which is the Germano's Healthy Choice Chili Sauce. Its super spicy but extremely appetizing. I think it would taste super good with a chicken porridge or noodle soup. They have two types which are Chili Sauce with Garlic in Corn Oil and the premium Chili Sauce with Garlic in Olive Oil; I got to try the later and like I said it's da bomb. I'm not over emphasizing it but it's probably one of the best spicy condiments I've ever tried. 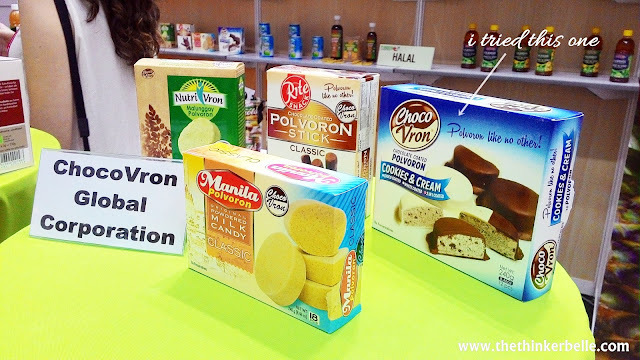 Then there was also the chocolate coated polvoron from the Choco Vron brand. Very different from other snacks I've tried before. Polvoron (definition taken from Wikipedia) is a type of heavy, soft and very crumbly Spanish shortbread made of flour, sugar, milk and nuts. If I were to explain it; the snack tasted like a powdered milk coated in chocolate and I had the one with Cookies and Cream flavour. Super yummy! 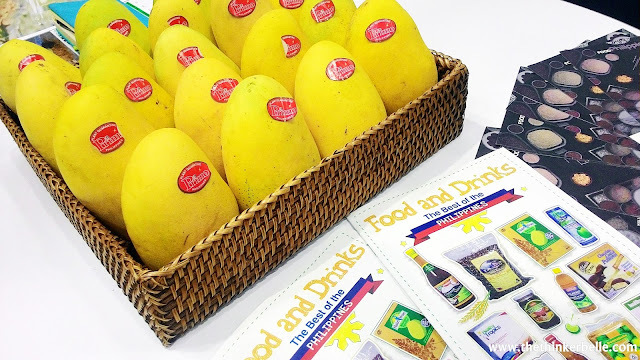 I also got a fresh mango flown straight from the Philippines to eat at home. 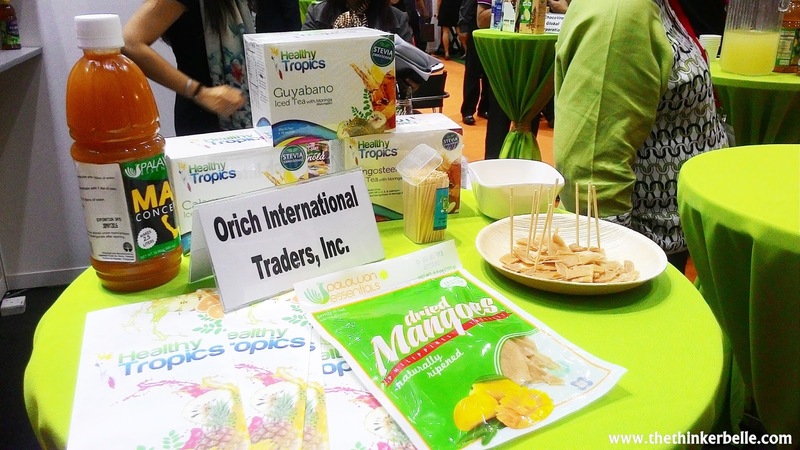 If you never tried their dried mango, you definitely need to try one there. 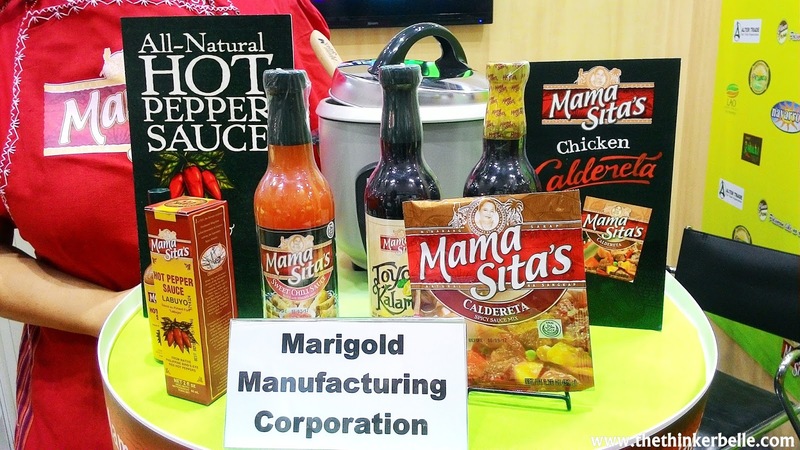 There are a lot of other products you can try there so make sure you don't miss the exhibition! 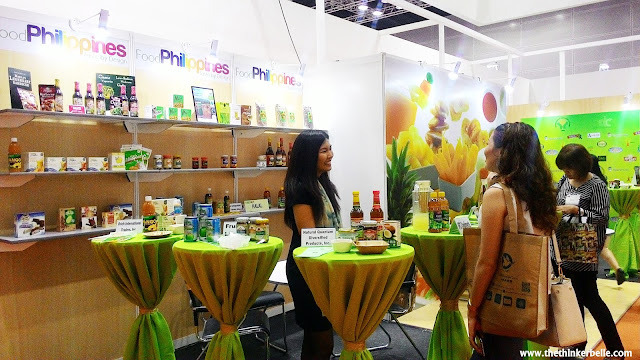 It's still going on until the 2nd of October 2015 in Kuala Lumpur Convention Center and the Philippines booth is located in Hall 1 Booth 1111. To make it easier to find for you, it's located at the further left corner of the hall from hall entrance.